30% of Albertans live with Chronic Obstructive Pulmonary Disease (COPD). As with any chronic disease, managing symptoms is an intricate balance of knowledge, medication management, lifestyle changes, emotional support and promotion of activity. Pulmonary Rehabilitation programs address all of these issues and have been shown to be one of the most effective ways to manage COPD. 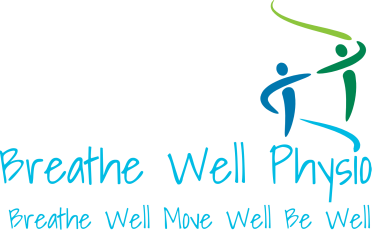 Breathe Well Physio is pleased to offer two levels of Pulmonary Rehabilitation programs, delivered by a Certified Respiratory Educator (respiratory therapist). In addition, we have a more advanced class for individuals with any chronic disease or mobility issues that need some motivation and coaching to keep going strong! This is a weekly drop-in program aimed at individuals with lung disease who are just starting out with exercise programs. Led by a Certified Respiratory Educator (Respiratory Therapist) you will learn valuable information about disease management as well as participate in safe introductory exercises. Cost is $15 per class. This is a weekly drop-in program aimed at individuals who have completed basic Pulmonary Rehabilitation programs, like the Alberta Healthy Living Program. Led by a Certified Respiratory Educator, this program reviews tips on disease management and helps you progress your exercises. Includes acces to a home video program. Ideal if you just need a little motivation each week! ​Cost is $15 per class. This drop-in program is for any individual with chronic disease and/or mobility problems and need support in exercise prescription. Whether just needing motivation, help with modified exercise or wanting a small group format, this class is for you! Led by a physiotherapist, this may be elligible for reimbursement. ​Cost is $12 per class.